females available. 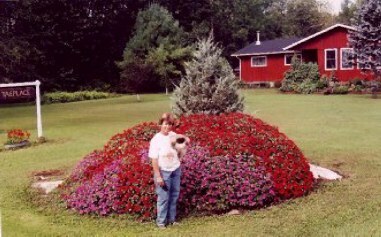 Akarana, St. Aubrey, and Saimaifun female seed stock we were delighted to acquire. We were on our way !! 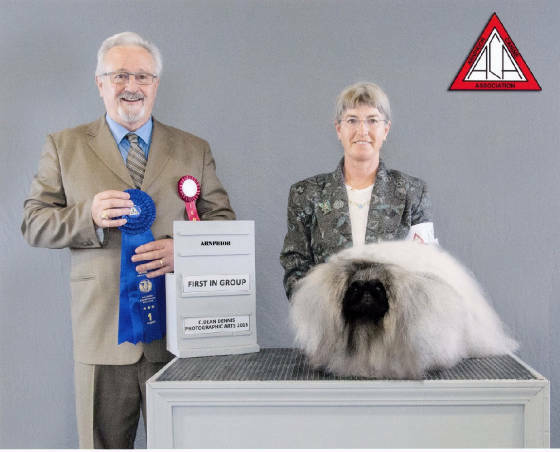 To date, we have bred near 100 champions, Best In Show and Group Winners. 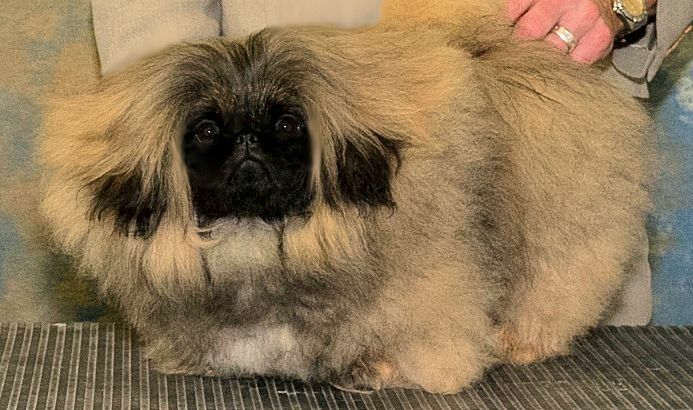 We have won the prestigious Pekingese Club of America three times, as well as Westminster Best of Breed. 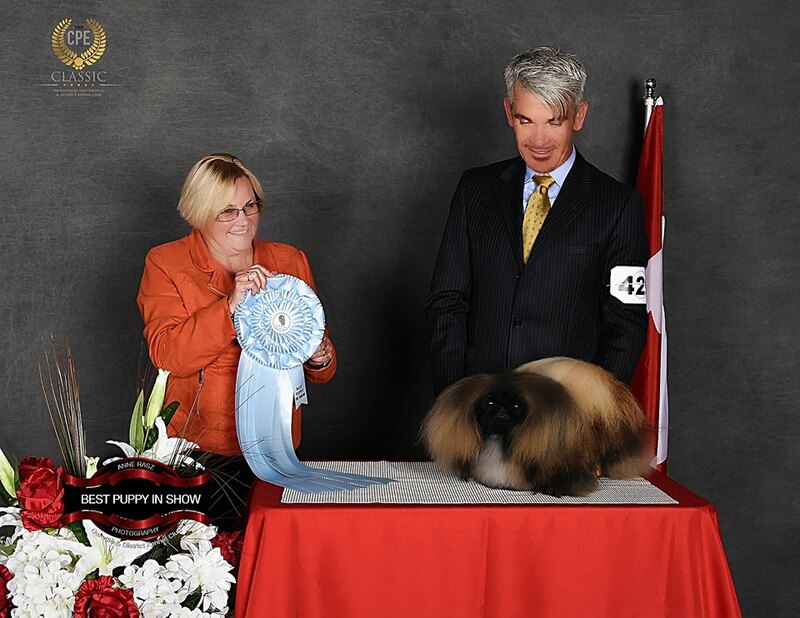 We also have joined the exclusive club of having bred and owned Canada's Top Show Dog All Breeds. 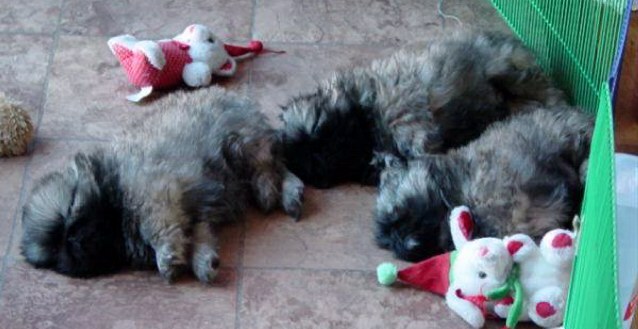 And on to Best Puppy In Show ,,Growing Up!!! Thankyou Judge Ms. Joy Huntley!!! 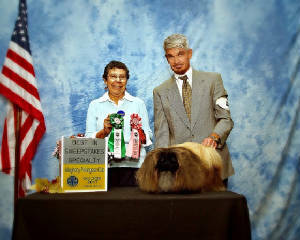 Best in Sweeps thankyou judge Louise Putzback!! 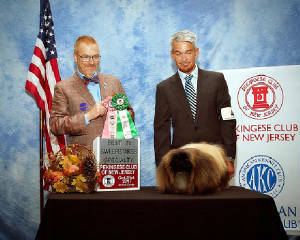 Best in Sweeps thankyou judge Tom Jenkins! Our upcoming promising youngster, photo at 12 weeks, Sired by BISA GR.Ch. 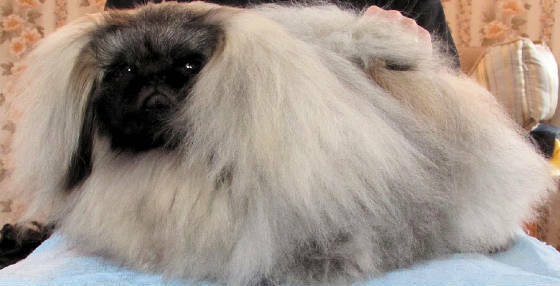 Lon-Du Ven-Mar Bvlgari x Coodeefoo Lasting Impressions, "Camille", pointed soon to finish her title. And now at seven months!!! 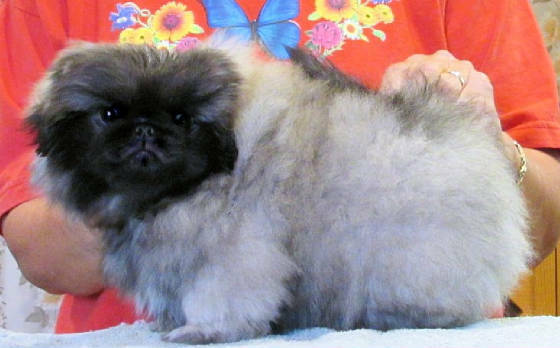 Taeplace Pekingese proudly introduces to our stud force BISA Ch. Lon-Du Ven-Mar Bvlgari. 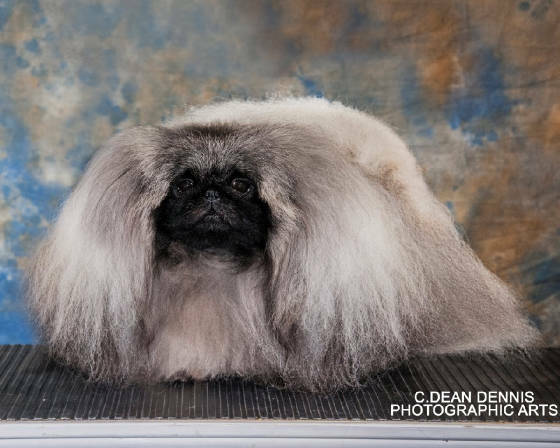 Bred by Mr. Arlon Duit and Mr. Vincent Fleece, "Gary" brings to Taeplace his outstanding phenotype. 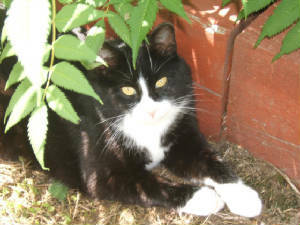 Dense black pigment, beautiful earset along with glamour, this from his beautifully put together pedigree. 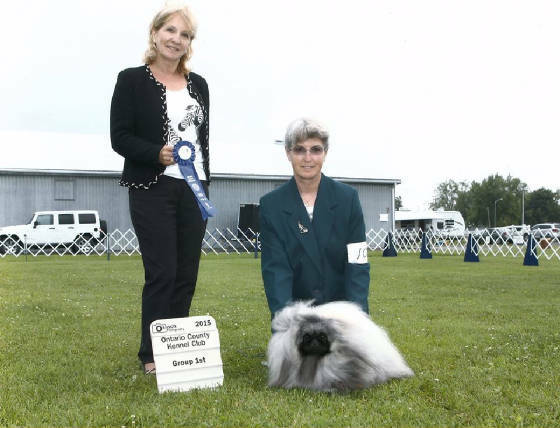 Gary finished his Canadian title over specials from the classes with all group placements, and multi Best In Show All Breed Wins At only a year and a half, he is already a sire.